Develop yourself, practice leadership and teamwork, expand your network, give back to your professional community, and experience the spirit of ATD by volunteering for a committee or project. We match the interests and aims of volunteers with opportunities to help run the Chapter. Let us know if you would like to volunteer for any of the opportunities listed below. Or register your interest in becoming actively involved in running the chapter with us and we will contact you. *Current ATD NYC Chapter membership is required for all positions. 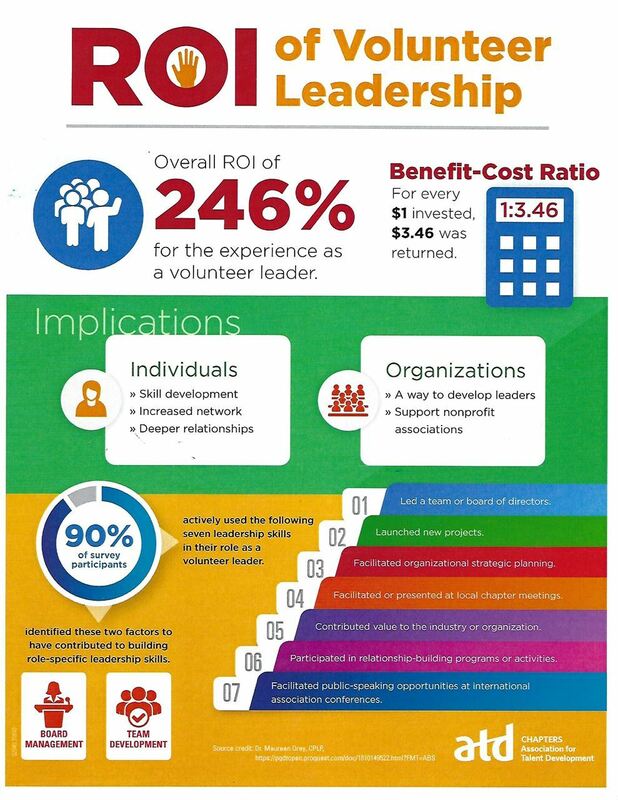 Rosemary Okoiti (rosemary.okoiti@atdnyc.org) and we will work to find the best volunteer role for you.